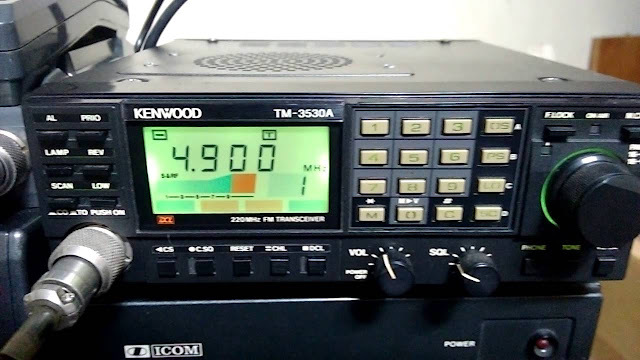 The Kenwood TM-3530A is similar to the TM-2530A but transmits 25 or 5 watts on 220 MHz instead of 2 meters. The TM-3530A is 7.1 x 2.4 x 7.7 inches 4 lbs. (180x60x195 1.8 kg) and requires 6.5 Amps.